Brimming with places to see, shop, eat and drink, lively open-all-hours Moscow is a veritable mix of historical and iconic sights which sit comfortably alongside kooky architecture, artistic hotspots and world-class opera and ballet, making it a magnet for discerning travellers seeking a cultural yet exhilarating city break experience. Moscow is often considered a tricky city to visit. Home to some 15 million people, Moscow is sprawling and fast-paced and can be disorienting. People always seem to be rushing around and their abruptness is often mistaken for unhelpfulness, which actually couldn’t be further from the truth. The traffic can be a nightmare, so you need to know where you’re going. And the weather can be anything from frighteningly cold to scorchingly hot, so care needs to be taken when planning a visit. So why visit Moscow? In short, the Russian metropolis is one of the world’s most breathtaking capital cities, and the incredibly wide range of easily accessible entertainment options and contemporary landmarks make it an intensely enriching option for anyone with a penchant for a vibrant metropolis, or partial to an energetic city break. 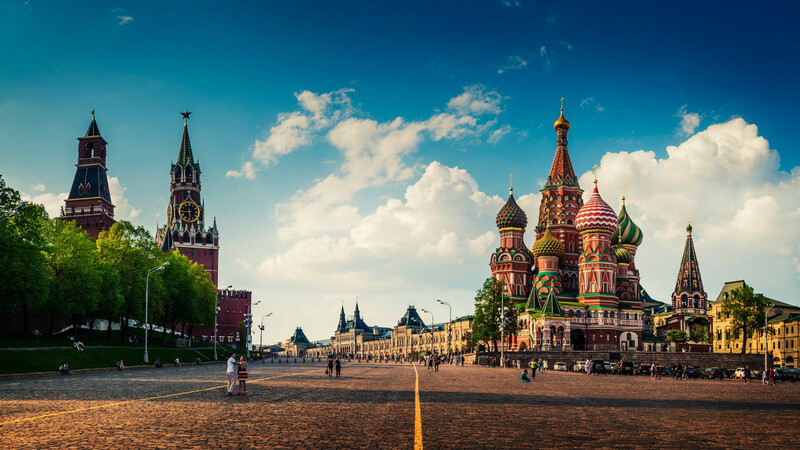 And Moscow’s renown for being a truly 24-hour capital make it an ideal destination for those who revel in the special buzz of an all-night city, packed with nightclubs, bars and shopping centres, but only have a day or two to spare. In Moscow one can truly experience a complete Russian immersion in just 24 well-planned hours. Despite Russia’s annexation of Crimea stirring-up cold war sentiments, Moscow has very much been moving with the times. In a frenzy of urban renewal, for some years now sturdy Stalinist architecture has been making way for shimmering skyscrapers, gleaming offices and stylish hotels. 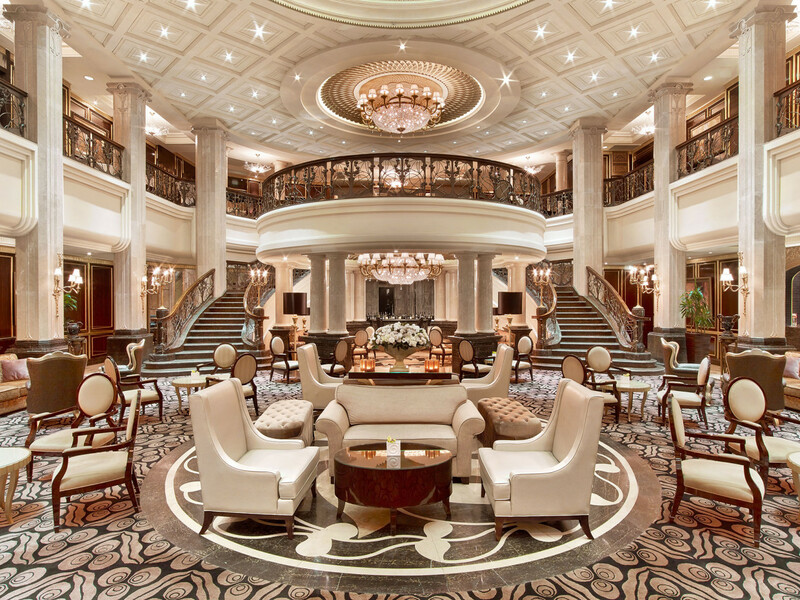 The St. Regis Moscow Nikolskaya, which opened just a few years ago, is housed within a complex of historical buildings originally constructed in the 1870s at the corner of Nikolskaya Street and Lubyanka Square. The hotel’s proximity to the Bolshoi, the Kremlin, Red Square and the city’s main shopping district make the 210-room St. Regis (including 44 sumptuous suites) the ideal place to stay during a city break in the Russian capital. If you arrive in Moscow armed with a basic knowledge of the Cyrillic alphabet (so you can at least read street names!) you’ll honestly get around a lot faster. Devised during the 10th century and based on the Greek uncial script, the Cyrillic basics are easier to master than you might think. 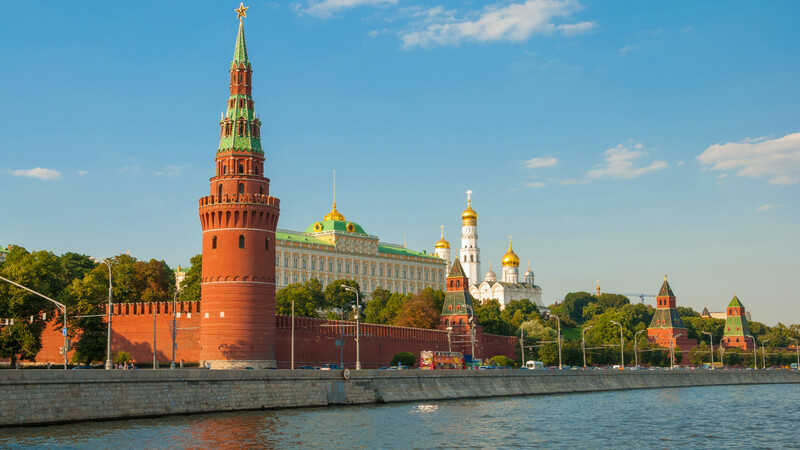 Synonymous with cold war mystery and intrigue, the ancient fortress of the Kremlin is the official residence of President Vladimir Putin and has been the nerve centre of the nation’s power for more than half a millennium. Within the Kremlin’s walls, tsars were crowned and countless heads of the Orthodox Church are buried in the golden domed Dormition Cathedral. This most sacred of Russian Orthodox churches, not to mention the nation’s patriarchal cathedral, combines Russia’s Byzantine heritage with the art and architecture of the Italian Renaissance. You won’t need more than half an hour to see Cathedral Square and the other public areas of the Kremlin, but allow more time if you wish to visit the Armoury Chamber of Tsarist jewels and relics for which you’ll need a separate ticket. The Kremlin’s gates open at 10am and tickets should be purchased online in advance. After leaving the Kremlin, head back through Alexander Gardens (towards Red Square) to catch the changing of the guard (every hour on the hour) at the Tomb of the Unknown Soldier. 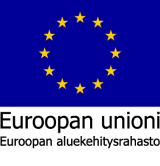 Unsurprisingly it is executed with military precision. In cobblestoned Red Square – site of Tsarist executions and Soviet military parades of might to impress leaders and intimidate the West – lies the mummified body of the father of the Russian revolution, Vladimir Ilyich Lenin. Despite constant whispers about removing Lenin, for now the frozen-in-time hero of the 1917 October Revolution is still in his marble mausoleum (which is now a UNESCO World Heritage Site), and you can see him free of charge from 10am ‘til 1pm Monday to Friday. In reality Lenin looks more like a Madame Tussauds’ wax figure than a well-preserved corpse, but the unusual Soviet-era spectacle is definitely worth experiencing when in Moscow. Even after only a few minutes underground – adhering to the strict no-talking, no-photography and no-cell phone policy in Lenin’s mausoleum – exiting into the sunlight of Red Square can be a little disorientating, especially when confronted by Disney-esque St. Basil’s Cathedral, erected by Ivan the Terrible in the 1550s. Built around the cathedral’s 156-foot high central nave are nine small, separate chapels that are aligned to points on the compass, four of which are raised to designate their position between heaven and earth. Each is crowned with a different, intensely colourful onion-like dome. Moscow’s most popular tourist attraction is floodlit at night when it takes on a unique fairytale quality, so do pass by again after dinner if you have time. 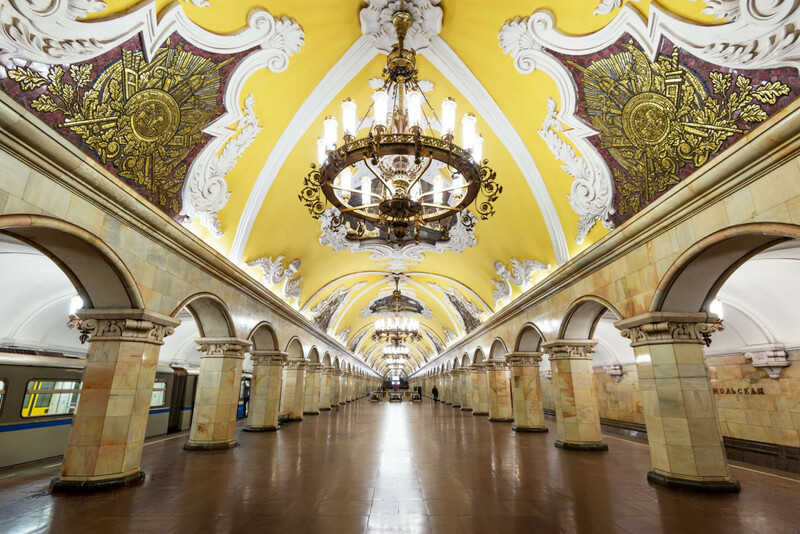 Moscow’s chandelier-dripping public transport system is a cultural attraction in itself, filled with bronze columns, sculptures and statues, com­mu­nist murals, beautiful mosaics and stained-glass. Each day more Muscovites travel on the network than the London and New York systems combined, and they seldom wait more than a few minutes for a train. It’s busy and hectic but experiencing the Moscow Metro is a must. Ride the Circle Line to best appreciate the network’s inherent socialist art deco styling. The Komsomolskaya and Mayakovskaya stops are particularly impressive. Get off the metro at Pushkinskaya and grab lunch on the run in the area around Patriarch’s Pond. At Café Margarita around GBP15 will buy you a hearty Russian lunch such as pancakes with caviar and salt herring (28 Malaya Bronnaya Street – Tel +7 (495) 299 6534). 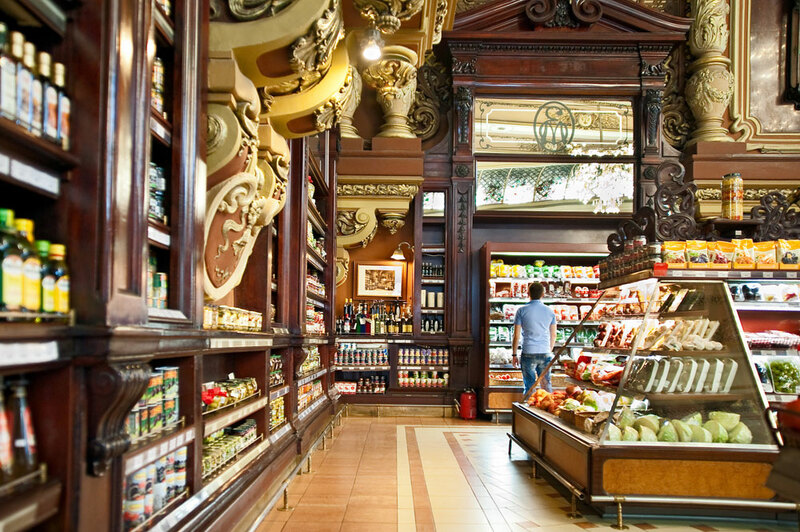 A spot of shopping is always a good idea after lunch and there’s nowhere better to stock up on vodka and caviar than famed Eliseevsky supermarket at 14 Tverskaya. Trading for well over a hundred years and named in honour of its former millionaire owner Grigory Eliseev, huge crystal chandeliers hang in decadent, neo-Baroque Tsarist-era interiors, making shopping here a unique retail experience. And like many of the city’s stores, Eliseevsky is open 24-hours so you can swing by anytime. For a more designer shopping experience, head back to Red Square and wander around imposing GUM shopping mall. Stuffed full of fancy stores, GUM is a place to see and be seen rather than shop, but it’s worth having a peek inside nevertheless. A pleasurable 15-minute walk from GUM – much of it along the banks of the Moscow River – will take you to Gorky Park. Until recently, the city’s biggest green space was rather forlorn, but a major revamp (courtesy of Roman Abramovich’s money) has ridden the place of biker gangs and drunken soldiers and turned the park into a delightful haven in which to pause for breath during a busy day, with rose gardens, beaches, fountains and free wi-fi attracting a hip local crowd catching the late-summer rays. If you want to grab a bite in Gorky, Lebedinoe Ozero (meaning “Swan Lake”) serves delicious grilled fish and kebabs, al fresco on its terrace, weather permitting (9/22 Krymsky Val – Tel +7 (495) 782 5813). Across the road from Gorky Park, at 10 Krymsky Val, is the New Tretyakov gallery which boasts an exceptional collection of Soviet art, including a breathtaking array of Russian avant-garde works. Meanwhile, the original Tretyakov gallery at 10 Lavrushinsky Lane houses the world’s most impressive collection of Russian art. This includes icons by Andrei Rublev and renowned 19th century realist painter Ilya Repin’s dark portrayal of Ivan the Terrible murdering his own son. 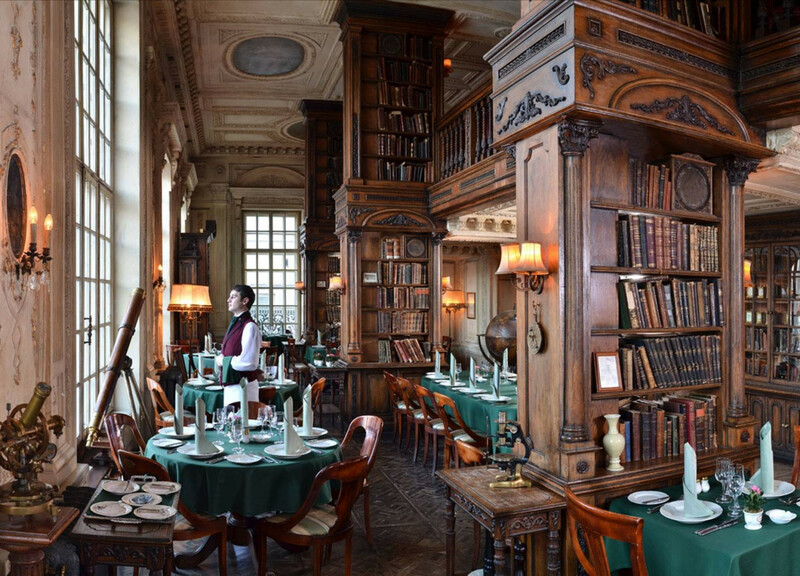 No visit to Moscow would be complete without a visit to painstakingly renovated Café Pushkin, the long-standing champion of haute cuisine à la Russe. The venue’s early 19th century Russian aristocratic splendour, combined with waiters in period costume, provide a fantastic backdrop to traditional fare which includes beef stroganoff, pelmeni meat dumplings and sweet Russian syrnyky pancakes. Don’t fret if you’ve managed to land tickets to the Bolshoi and need to eat late at night, because from Italian pasta to Russian borsch and hand-crafted cocktails you can find pretty much any kind of food and beverage after midnight in Moscow. There’s absolutely no need to settle for fast-food. In fact, according to Russian aristocratic tradition, if you are a rich or powerful person (or just want to appear like one), you simply must behave like a night owl in Moscow. Apparently, mornings are for the working classes who rise early and shuffle out in the grey Moscow twilight to toil. Influential Russians simply don’t do mornings, apart from a few hours on the ‘phone and mid-afternoons in the office sorting out the business of the day before preparing for a night filled with adventure. Moscow is even peppered with 24-hour flower shops. So, whether you have a post-party hunger, are craving a late supper, wish to propose to your loved-one in the middle of the night or simply don’t want to sleep, Moscow is probably the city for you and your night owl pals.